The event was an independently organized TEDx event by the University. 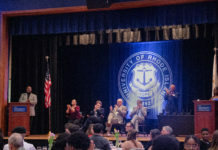 It was set up by Maling Ebrahimpour, dean of the College of Business Administration, with the help of 12 other team members comprised of faculty and students. For the 14 speakers at this event, a lot of preparation and rehearsing went into their presentations. Andrea Mason, who presented about the “philosophy behind fashion,” explained that writing and editing took her about 48 hours but it was all worth it in the end. 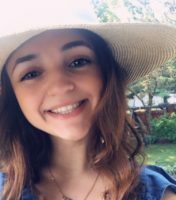 Among the presenters was Anna LaCroix, an eighth-grader who presented about “limiting rates of sexual assault.” Informing the audience about the need for middle and high school sexual assault education and training, LaCroix expressed her concern, even at the young age of 13. The presentations also included topics revolving around world issues today, such as “does technology need a time out?” presented by Dr. Candice Genine Simmons, as well as “sea levels rising,” presented by Dr. Elizabeth Mendenhall. Akeem Lloyd, the founder and CEO of A Leadership Journey and AkeemSpeaks, presented about “social responsibility.” Lloyd shared his personal experiences and motivation to help others as a result of his journey through schooling and life. He expressed the need to serve others as those had done to him by repeating the phrase “I serve, because someone told me I matter,” throughout his talk. Lloyd expressed overall passion about his experience with presenting and working closely with those who set up the TEDxURI event along with the other presenters. Patrick Condon, a pharmacy student at URI, presented about “how to live life like you’re dying.” Condon shared his firsthand experience of this after explaining his recent diagnosis that could shorten his lifespan. The last presentation, “the power of family stories” given by Elizabeth Gruebel, informed listeners of how everyone’s family stories matter, whether they are someone else’s or your own. Grubel did this in sharing her own story about her father and the importance of holding onto things that mean a lot to you. “What really connects us through time and through space are our values,” Gruebel said. 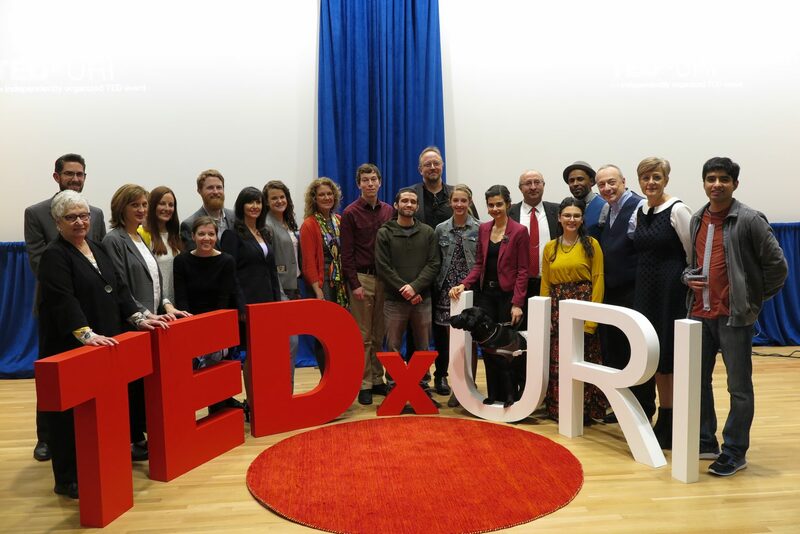 In concluding the presentations, the audience was informed that this TEDxURI event will be happening again next year with a whole new set of presenters and messages to be heard.